ROME, Italy, January 27, 2011 (ENS) – The UN Food and Agriculture Organization today notified veterinary and border authorities in Asia of an unprecedented outbreak of foot-and-mouth disease in South Korea, urging them to be alert for livestock showing signs of infection by the highly contagious disease and urging proactive vaccination campaigns. Juan Lubroth, FAO’s chief veterinary officer, said that the situation in Asia is a cause for concern, given the approaching Lunar New Year holiday during which large numbers of people will be on the move in the region, many of them carrying meat and some transporting animals. “Authorities in Asia should make sure they are in a position to detect any instances of the disease and respond rapidly in an appropriate way. FAO is advocating proactive vaccination campaigns designed to stop the spread of the disease,” said Lubroth. Foot-and-mouth disease is caused by a virus that affects cloven-hoofed animals, including cattle, sheep, goats and pigs, causing high fever. It is characterized by lesions in the animals’ mouths and feet. The disease does not affect humans. 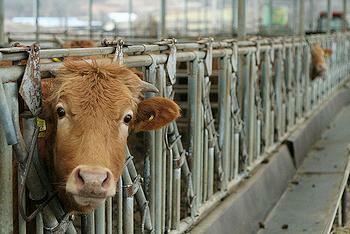 Since a cattle farm in Andong, North Gyeongsang was found to be positive for the virus on November 28, 2010, South Korea has been unable to curb the spread of the disease even though the government has imposed quarantines, initiated a vaccination campaign targeting nine million pigs and three million head of cattle, and culled 2.2 million animals. The overall cost of the foot-and-mouth disease control effort in South Korea to date is estimated at $1.6 billion, according to the FAO. Subhash Morzaria, the Asia regional manager of FAO’s Emergency Centre for Transboundary Animal Disease Operations, said the outbreak must be tackled as a regional problem. He said the agency’s regional office for Asia and the Pacific is planning a meeting of chief veterinary officers of East Asian countries to discuss the situation and coordinate their response. Lubroth said that when responding to outbreaks, countries should adhere to accepted practices that adequately take animal welfare and environmental impacts into account. Media reports of a foot-and-mouth disease outbreak in North Korea have not been confirmed by authorities there, said the FAO. Foot-and-mouth disease has spread through China in recent years and entered eastern regions of Russia and Mongolia for the first time, the FAO said. The disease recently affected an estimated 1.5 million Mongolian gazelles, whose migration may have helped carry the virus into China. FAO sent an emergency response team to Mongolia to help authorities cope with the disease. One of the early signs of the disease in infected animals is the excessive production of saliva and nasal discharges. The foot-and-mouth disease virus may survive for several hours outside the infected animal, especially in cold and humid environments.